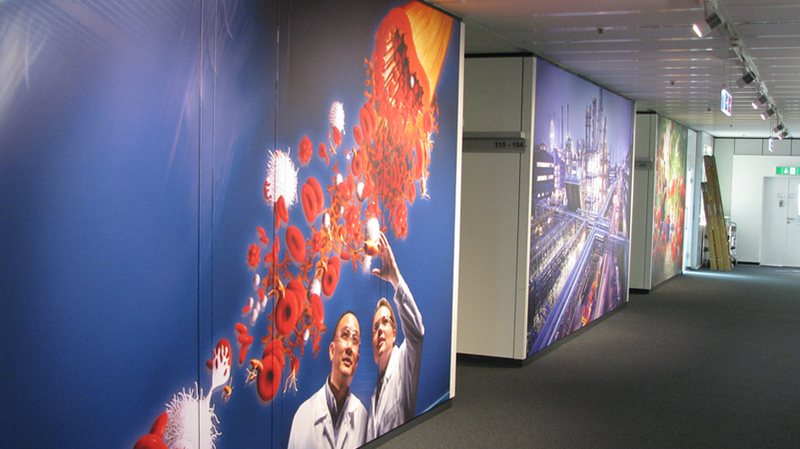 The new premises of Bayer’s Liaison Office Germany in Berlin offer the ideal conditions for communicating innovation in a hands-on fashion. 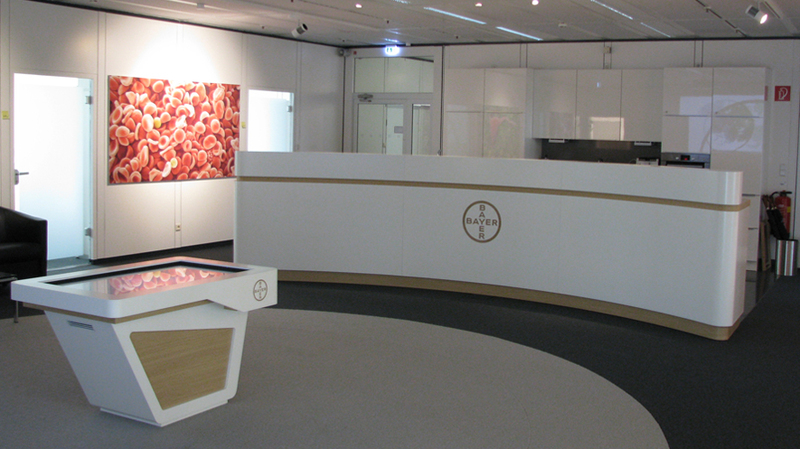 In close cooperation with Bayer AG’s Communications – Corporate Events department, 235 MEDIA designed the entire showroom, from the artistic concept to the interior architecture and the media planning and realisation. 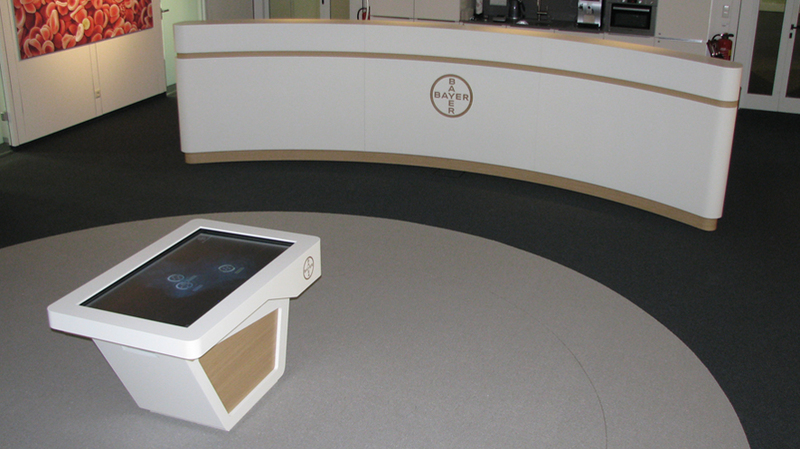 Laid out as an open communication area, the Liaison Office in the headquarters of Bayer HealthCare Pharmaceuticals is equipped with an Interactive Table that presents products and innovations from all Bayer subgroups. The application is based on the Interactive Cross-Linked Media Database developed by 235 MEDIA. 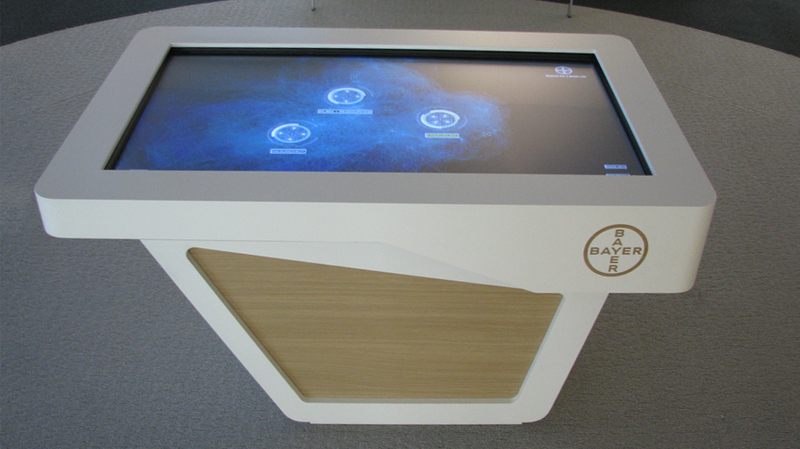 This software system can be used with various presentation media (touch screen, Interactive Table, website, etc.) and allows location-specific adaptation and worldwide updating of complex content via a server system. Developed for Bayer AG, the system is used across the globe and has already been implemented in the languages German, English, Chinese, Finnish, Polish, Russian and Spanish. The content’s editorial management and implementation is carried out at 235 MEDIA. 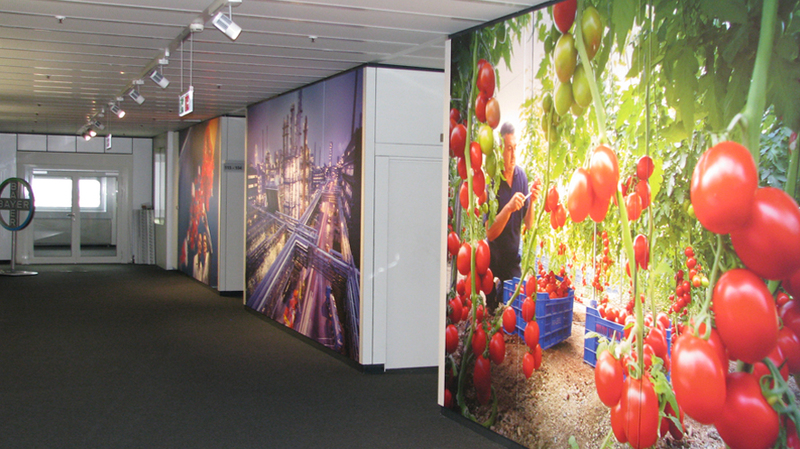 To allow larger visitor groups to access the information conveyed through the various media, the Liaison Office is also equipped with a large-format projection wall. 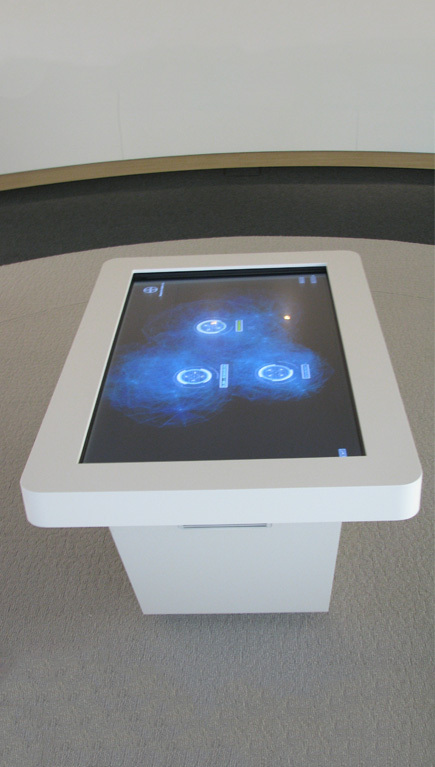 The projected content – such as films, content from the Interactive Table or PowerPoint presentations – is controlled via a tablet PC equipped with an intuitive user interface developed specially by 235 MEDIA. A large counter provides structure to the room and allows the company to provide catering for guests. In addition, an integrated USB interface allows, for example, a notebook computer to be connected and further content to be presented on the projection wall. 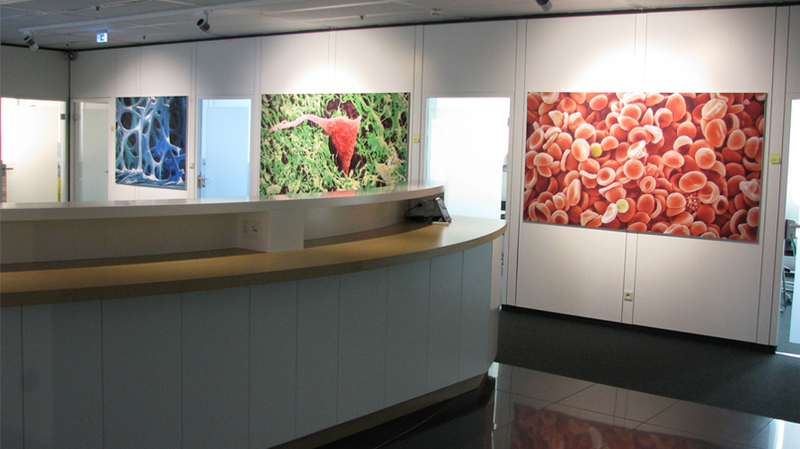 Large-format prints that fill the walls in the hallway area and showroom act as visual anchor points and present the spectrum of Bayer’s activities in the fields of health, agriculture and materials science.